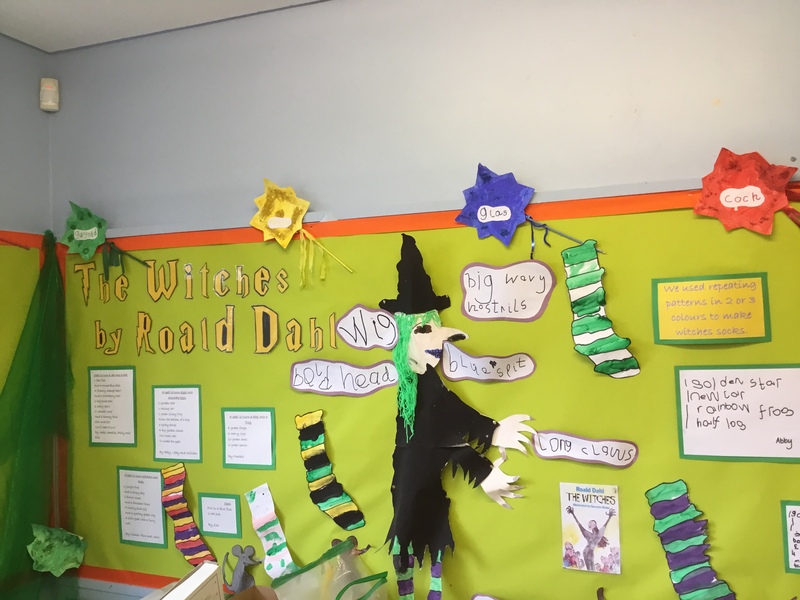 This term, we have enjoyed reading the story of The Witches, by Roald Dahl. Take a look at our fantastic work. 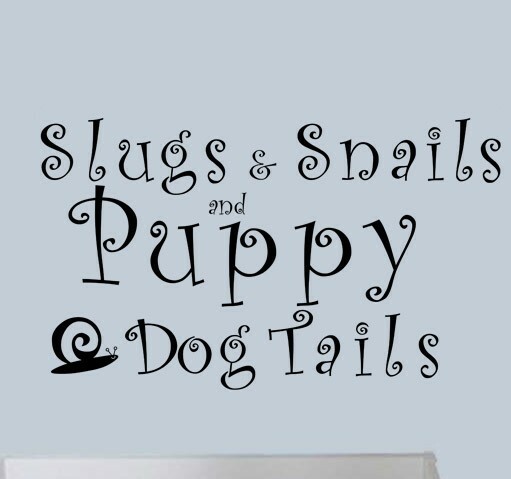 Our topic for this term is ‘Slugs, Snails and Puppy Dog Tails’. 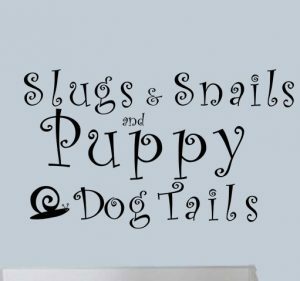 We will be basing our work around well-known nursery rhymes and minibeasts. We have a busy term ahead with the school Eisteddfod, our class assembly, sports day and a class trip all planned! More information to follow. 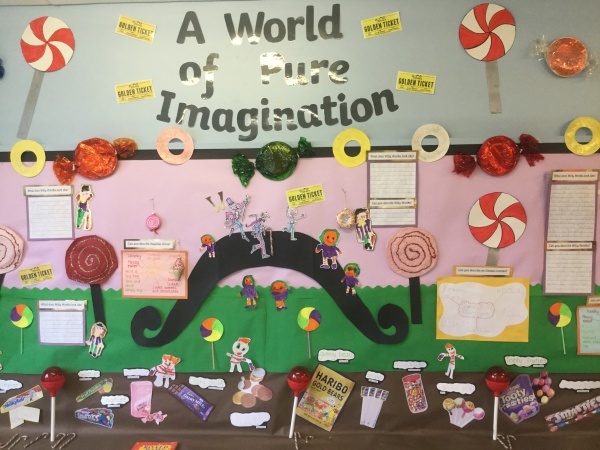 As a part of our Roald Dahl project, the children have been reading ‘Charlie and the Chocolate Factory’. Our topic this term is….Gardeners’ World. 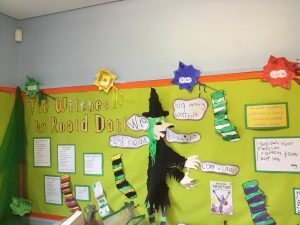 Our topic this term is Knock, knock who’s there? 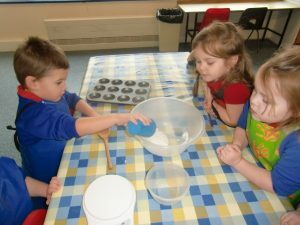 We have been finding out about houses and homes. 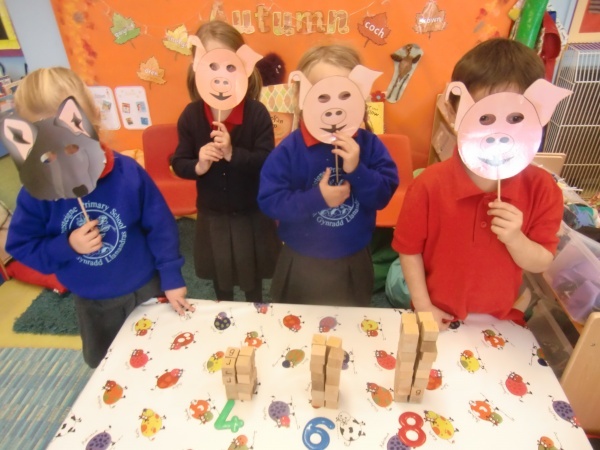 The children wanted to find out more about the story of The Three Little Pigs and enjoyed building houses from blocks. The children didn’t want the Big Bad Wolf to eat the pigs. 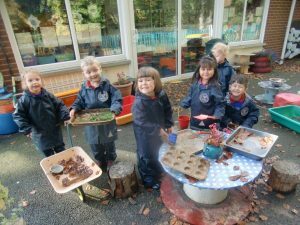 They decided to make him a meal in the mud kitchen. Yum! 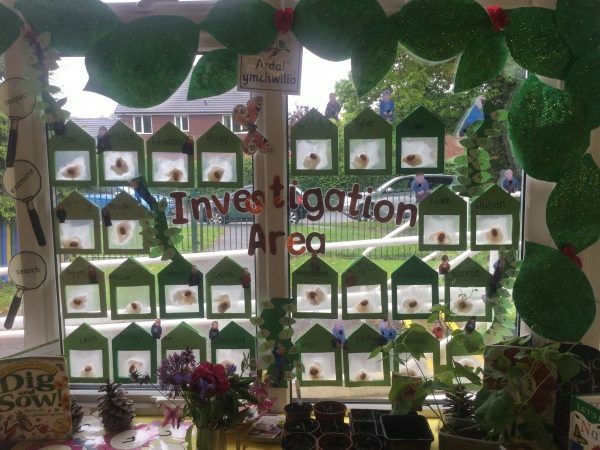 Our topic this term is Minibeasts and the children have been really excited to find out more about this topic. 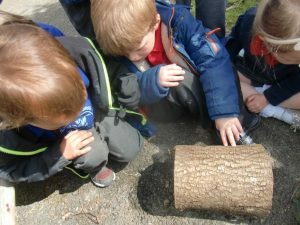 We have been searching for minibeasts in our garden. 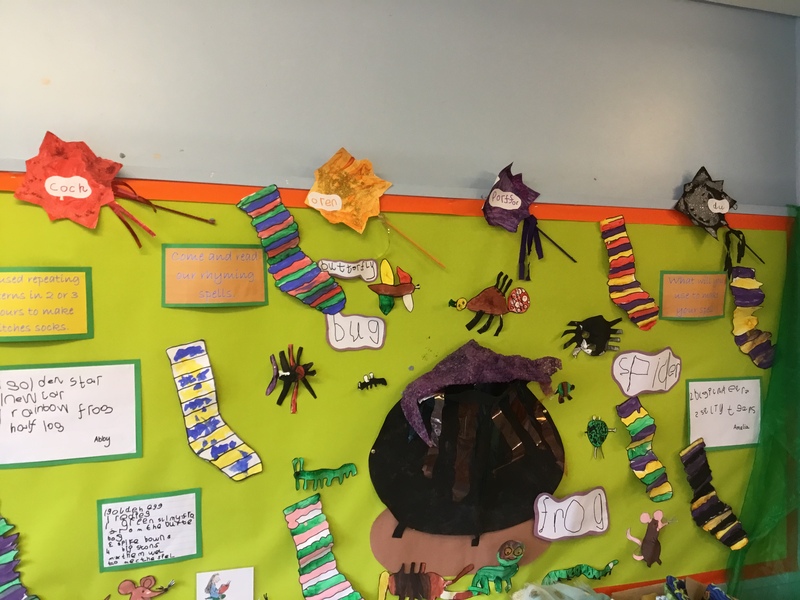 All of the children have chosen their favourite minibeast themed book to display in our reading corner. 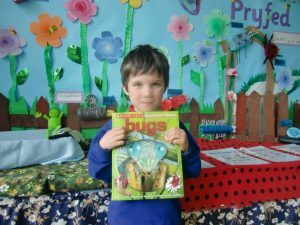 We sorted the books into fiction and non-fiction books. 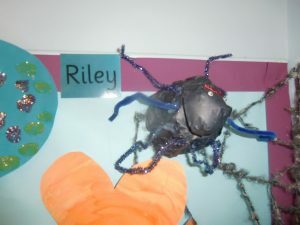 The children all designed and created their own minibeast from recycled materials. 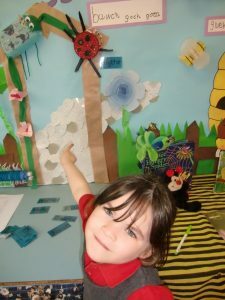 This term our topic is “Our World” and we have been learning about Chinese New Year. Chinese New Year falls on the 8th February and will be the Year of the Monkey. 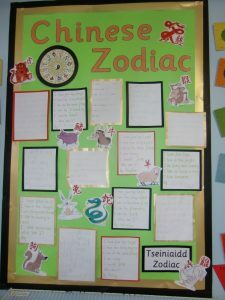 The children have been writing riddles about their favourite animal from the Chinese Zodiac. We made our own fortune cookies. 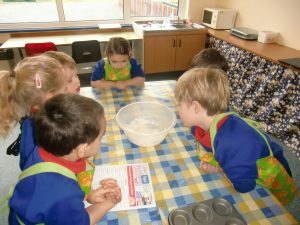 The children followed the recipe and worked with a group to create their own delicious treats. Once cooled the children broke the cookie open to reveal a fortune, it was very exciting. We are looking forward to learning more about this interesting celebration!